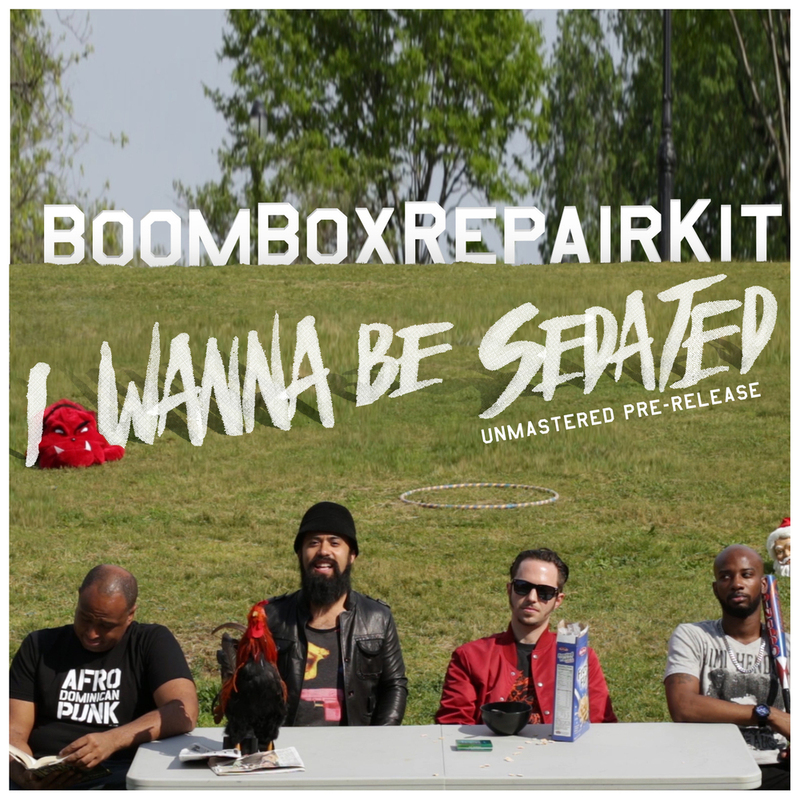 BoomBoxRepairKit is an American rock band from Sunset Park, Brooklyn formed in 2008. The band consists of lead vocalist Lael Llaverias & bassist Arturo Acosta. They borrow from traditional Dominican music in the same way Bad Brains borrow from Reggae, Red Hot Chili Peppers from funk and Gogol Bordello from Balkan folk music. The band's first album My Dear Antagonist (2009) – which included the single “I Rather Dance With Stranger“ – was acclaimed by critics for its Afro-Carribean influences. Their following stand alone single, “100 Kisses” (2010), gained similar popularity for being one the very first English sung bachata songs of all time. Years later, after an unofficial break up; they reformed with former Outernational guitarist Leo Minimum Tek. They then released the 1st single to their long awaited covers EP; “I Wanna Be Sedated” (2016) and were immediately labeled geniuses by the media for their jaw dropping take on The Ramones classic. Their third studio release, Wishing You A Speedy Recovery is set to be released on May 19 and they are currently performing throughout the North East in support of it.